When most people think of paving, they think of driveways and parking lots, but paving is also a great addition to any garden. 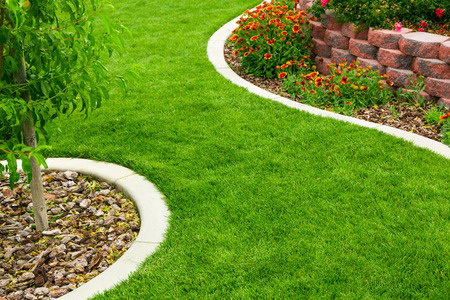 Whether it’s asphalt or concrete pavers, our experts can design and build a garden walkway, stepping stones, seating area, and more. From vegetable gardens to flower gardens, we know that it takes a lot of work to keep a garden healthy and beautiful, so why not showcase your garden with a hardscape? Whether it’s a paver border, a pathway, or a place for a fire pit, we can help you choose the perfect color and design for your concrete or asphalt to make it an artful part of your area. If you have a large garden, it can be tough to maneuver in between your vegetables, herbs, or flowers without worrying about stepping on them. 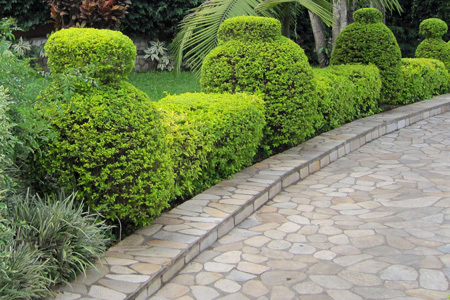 With a paved pathway or stepping stones, however, you’ll have easy access to all of your plants and a clear way to travel through your garden. A garden hardscape can also provide a base for a swing, bench, hammock, or another place to lounge and give you a serene place to relax. For the best in garden paving, call the experts at Mr. Pavement. We’ll help you get started as soon as possible so you can have a beautiful garden hardscape in no time. Call us today at 1-888-PAVEMENT for a free estimate. © Mr. Pavement, All Rights Reserved Website & Digital Marketing by Prager Microsystems, Inc.
How Often Do You Need Asphalt Paving Services?